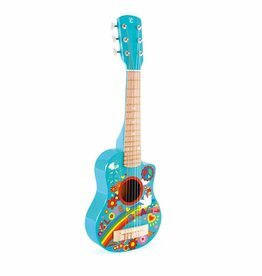 Music - Grow Children's Boutique Ltd.
Be a real flower child with this cool 1960s-themed guitar! Like clapping hands, only a lot more fun! 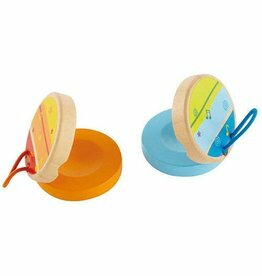 These colorful castanets are perfectly sized for kids. 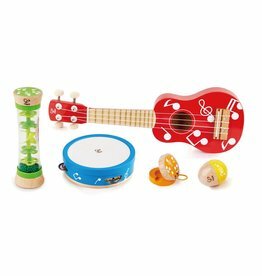 Play music and have your child click-clack along with it. Tap a rhythm on a table and have your child imitate it. 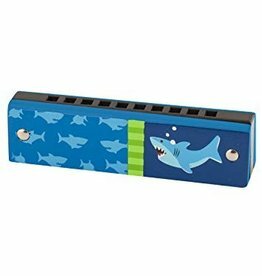 Musically talented or not, your child will love playing these Stephen Joseph Harmonicas. 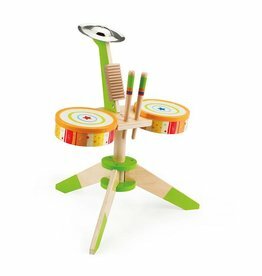 A tambourine, xylophone, drum and more. 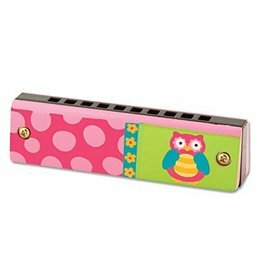 Make REAL music with Hape's Happy Harp. 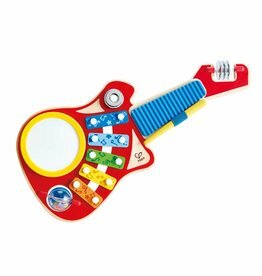 Play a favorite tune on this sturdy strummer sized for small hands and big voices. 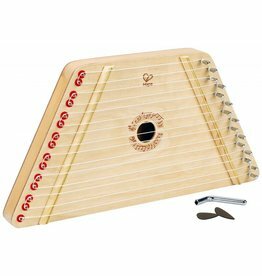 It is tunable and comes with tuning tips, 5 songs sheets, 1 blank for your own music composition and 2 picks and a tuning wrench. Perfect for small hands. 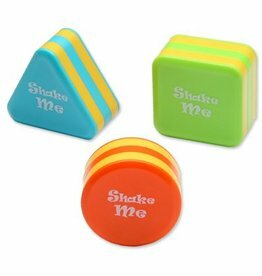 A shaped shaker that encourages babies and toddlers to find their rhythm. 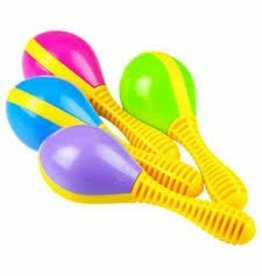 Colourful mini maraca with a great sound- perfect for small hands. 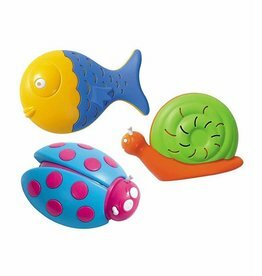 These lovely animal shakers each have a unique shape and a very distinctive sound.